Dran bleiben, bis es klappt! - WOODWARD WEST mit MARC DIEKMANN! 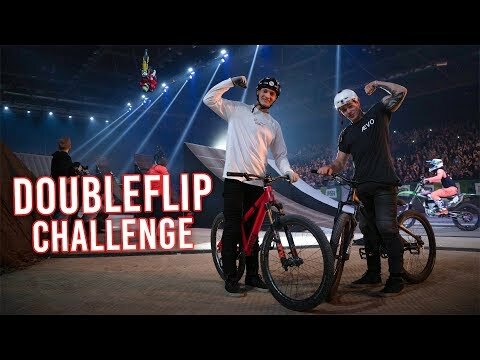 DOUBLE BACKFLIP CHALLENGE mit Marc Diekmann beim Kings Of Xtreme in Leipzig! Are XC Racers Fast On Downhills? 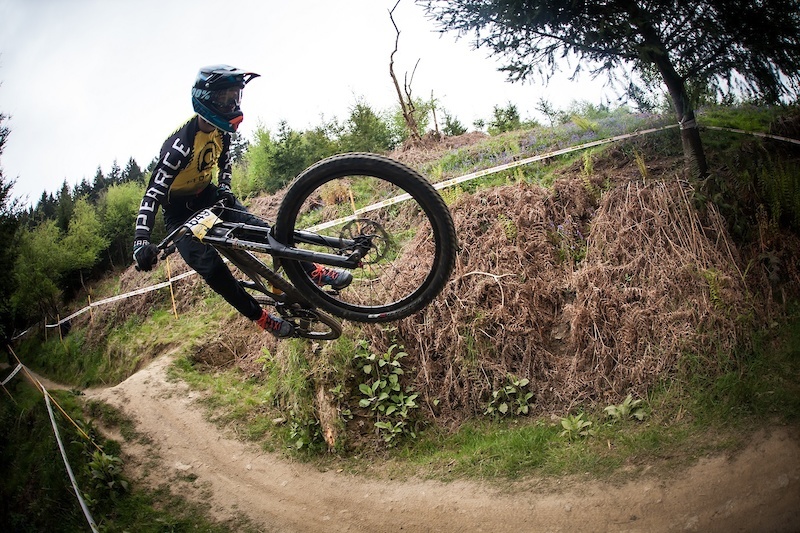 Pearce Cycles 2019 Kicks Off in Bringewood. Last day of the week! Have fun and ride. Harley-Davidson, the motorcycle brand that’s as American as apple pie, is now investing heavily in electric bikes. Their initial prototypes were called the Livewire (EBA, June 2018) and put out in front of the media and the public a few years ago to gauge response. Apparently, H-D thinks it will be worth the gamble on the future. This isn’t the same classic Harley-Davidson made famous in popular culture through the years. Like everyone else, Harley, too, has realized that they need to pursue a broader market that’s teeming with a younger generation of younger enthusiasts. Traditional Harleyophiles love the patented sound, the classic lines and the power, but they’ve seen dwindling numbers as older riders age out and fewer younger riders get into motorcycling. One of the appeals of electric motorcycles to newer riders is the lack of a clutch, simplifying operation of the bike. Of course, the instant torque is another feature that draws in even experienced riders. ROLLING THE DICE Is it a big gamble or a really bold move into the future? Time will tell, of course, but response to their initial Livewire trial was positive, with rides and input from over 12,000 riders. The entire strategy, which the company calls “more roads to Harley-Davidson,” is about H-D’s road map with new bikes and audacious plans to draw in new blood via modern, higher-tech platforms. “The bold actions we are announcing today leverage Harley-Davidson’s vast capabilities and competitive firepower, our excellence in product development and manufacturing, the global appeal of the brand and, of course, our great dealer network,” said Matt Levatich, president and chief executive officer, Harley-Davidson, Inc. “Alongside our existing loyal riders, we will lead the next revolution of two-wheeled freedom to inspire future riders who have yet to even think about the thrill of riding.” NOT ONE BUT MANY The first electric motorcycle may well be called the Livewire, like the prototype, but H-D has also trademarked the name “Revelation.” Whatever it’s ultimately called, it will be the first in a broad, no-clutch, twist-and-go portfolio of electric two-wheelers designed to establish H-D as a leader in the electrification of motorcycling. To that end, they’ve been recruiting new talent in the EV space to help them expand into the electric world. They’re hiring engineers especially like there is no tomorrow, and they’ve been silently adding many open positions on the “Careers” section of their website with the tagline, “We are individuals collectively shaping the future of motorcycling,” specifically looking for EV and motorcycle systems talent. The listings are for designers, industrial engineers, manufacturing engineers and more, and most all jobs are based in Milwaukee, H-D’s headquarters. NEW PARTNERS, NOT In preparation for the move to an e-moto catalog, H-D also made an equity investment in the California-based EV start-up Alta Motors earlier this year. They make electric motocross bikes. “Riders are just beginning to understand the combined benefits of EV today, and our technology continues to progress,” said Chief Product Officer and Co-Founder Marc Fenigstein. “We believe electric motorcycles are the future, and that American companies have an opportunity to lead that future. It’s incredibly exciting that [Harley-Davidson], synonymous with motorcycle leadership, shares that vision, and we’re thrilled to collaborate with them.” Wait, scratch that last bit about Harley teaming with Alta, because as sensible as it may have looked on paper, apparently some higher-ups thought otherwise, and just six months after pen went to paper, the paper was put in the shredder. 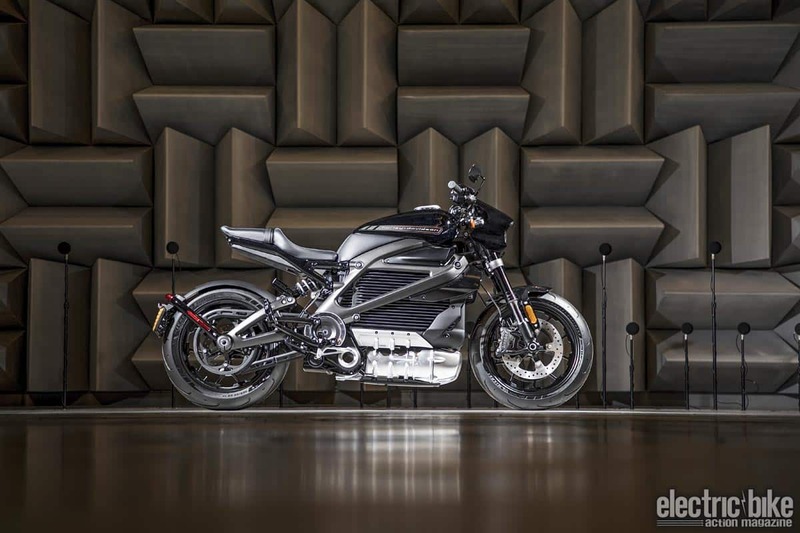 THE BOSS CHIMES IN Harley-Davidson’s COO Michelle Kumbier offered, “We’re going big in EV with a family of products that will range in size, power, as well as price. When you look at EV you know this is a whole new customer base that we are bringing in.” In addition to bringing out a larger platform a la the Livewire, they’re planning mid-size and smaller platforms to go after the market currently dominated by electric scooters, mopeds and top-level electric bicycles, targeting the emerging Asian market heavily. There hasn’t been an announcement yet on any specifics on electric bicycles. A SMALLER V There’s no plan to discontinue the internal-combustion bikes that H-D is known for. They’ll continue making their big V-twin bikes, but the company is also bringing out a line of modular 500cc-to-1200cc middleweight platform ICE motorcycles that specs three different product spaces and four displacements, including their first adventure touring bike, the Pan America 1250, as well as a 1250 Custom model and a 975cc Streetfighter, which are slated for a 2020 release. They’ll add additional models to broaden coverage in these product spaces through 2022. There will also be an Asian-market-specific line of small-displacement (250–500cc) bikes through a strategic alliance with an Asian manufacturer. They have their eyes on the fast-growing Indian and overall Asian market with these. All of this will require upgrading and training dealers, likely creating specific spaces within the dealership for the bikes. H-D has promised to “drive a performance framework to improve dealers’ financial strength and the Harley-Davidson customer experience.” ON SALE IN 2019 They plan to have production Livewire units—the larger ones similar to the ones they tested around the country—on sale at dealers by August of next year. We don’t know about you, but we’re waiting with bated breath to ride one! www.harley-davidson.com THERE ARE SO MANY WAYS TO GET ELECTRIC BIKE ACTION In print, from the Apple newsstand, or on your Android device, from Google. Available from the Apple Newsstand for reading on your iPad, iPhone or iPod Touch. Subscribe Here For more subscription information contact (800) 767-0345 Got something on your mind? Let us know at hi-torque.com The post Harley-Davidson&#8217;s Deep Dive appeared first on Electric Bike Action.